Safety and efficiency are enormous priorities in the world of business and manufacturing. The strength and endurance of concrete used in buildings must be inspected regularly and promptly repaired. 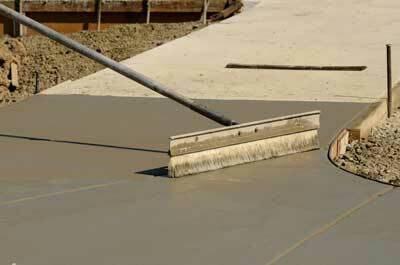 As concrete surface repair contractors, we repair and restore vital concrete infrastructure. Hal’s Construction has delivered superior concrete repair services in the Portland, Oregon area for 40 years. When the management of a business or industrial facility becomes aware that aging concrete is in dire need of repair, there’s no time to waste. The search for a concrete repair professional with the expertise necessary to reinforce or otherwise restore deteriorating concrete begins in earnest. Hal’s Construction is an experienced provider of concrete restoration and repair services for businesses, manufacturing operations and industrial facilities. Structural concrete restoration projects require the knowledge and skill of a concrete repair specialist. Only experienced commercial concrete surface repair contractors are prepared to fulfill the precise strength and accuracy specifications of an industrial facility. A commercial concrete repair project goes way beyond the forming, pouring and finishing of concrete; the electrical and plumbing infrastructure must also be taken into consideration. Professional concrete contractors are accustomed to working cooperatively with a variety of other contractors. Ensuring that equipment bases and industrial floors are properly designed and proportioned is exacting work. Hal’s Construction has the products and equipment necessary to build or repair the concrete infrastructure of any commercial facility. A qualified commercial concrete contractor knows how to form, pour and calibrate industrial concrete infrastructure. Repairing large concrete slabs, walls and heavy equipment bases for commercial application demands many years of professional experience. Hal’s Construction can provide an array of concrete repair services to ensure the functionality and safety of business operations. Hal’s Construction has earned a reputation for providing excellent commercial concrete services. The Hal’s Construction team of concrete professionals can provide comprehensive inspection services and compliance evaluations in accordance with industry standards. Downtime is a killer for any business operation. 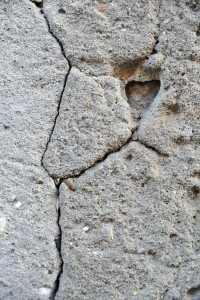 Deteriorating concrete can lead to costly waste disposal and other environmental problems. Modern concrete materials, including urethane and epoxy crack injections, expansion joints and a variety of toppings and coatings can be employed to restore the safety and integrity of commercial concrete. The reputation of a commercial concrete contractor must be above reproach. Hal’s construction guarantees all materials and craftsmanship. That’s the way it’s been for more than forty years. Please call (503) 226-4999 to schedule a free consultation in the greater Portland area.